A man who was hoping to supply Rolling Stones rocker Keith Richards with explosives for his entertainment has been arraigned on 112 counts of illegal possession of explosives, reckless endangerment, and manufacture of bombs. Joseph Callahan was arrested earlier this month following a police raid on his Connecticut mansion, where officers uncovered an arsenal of weapons and bomb-making equipment. The 69 year old told cops he was in the process of building an explosive device for Richards, but failed to make it clear why. In court on Wednesday (16Oct13), his lawyer explained Callahan was making the bomb in the event he met the rocker after learning Richards was a fan of big bangs. The case was continued to next month (Nov13). Mick Jagger’s famous friends and fans took to the Internet on Friday, July 26 to send messages of congratulations as the Rolling Stones star turned 70. The music legend’s milestone created a buzz on Twitter.com and the singer was flooded with birthday greetings from devotees from around the world. Rocker Lenny Kravitz offered, “Happy Birthday Mick!!! !… Have a good one Bro,” while tributes also came in from Pamela Anderson, William Shatner, Martin Kemp and Mia Farrow. The Rolling Stones must have passed through a time machine before taking the Staples Center stage to kick off their “50 and Counting” tour. Mick Jagger, Keith Richards, Ronnie Wood and Charlie Watts delivered a rousing set Friday with the kind of youthful energy and musical verve they displayed decades ago. Their faces showed their age, but their performance did not, with a nonstop, more than two-hour set packed with hits. Jack Nicholson was in the audience and fans welcomed him with a round of applause as he took his seat. 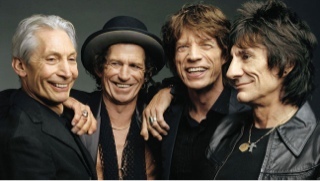 The Rolling Stones U.S. tour continues through June 21. Rolling Stones star Keith Richards once infuriated a bandmate’s mother-in-law by offering her cocaine during a family dinner. The veteran guitarist was enjoying a vacation in Los Angeles with Ronnie Wood — as well as Wood’s then-wife Jo and her mother Rachel — when he substituted dessert with a big bag of cocaine. Jo admits her elderly mother wasn’t impressed, and she had another run-in with Richards days later when he offered her a marijuana joint during a pool-side sunbathing session. Rocker Keith Richards is always on the lookout for some great Christmas presents to exchange with his The Rolling Stones bandmates but admits they are not the most punctual gift-givers. The (I Can’t Get No) Satisfaction stars make sure to give each other something extra special every year but timing isn’t their forte and often, the gifts are not actually presented in time for Christmas Day. The thoughtful guitarist is often on the lookout for that special something to make a truly unique gift for his bandmates. The Rolling Stones are pleased to announce the release on November 21, 2011 of the re-mastered, expanded, Super-Deluxe, Deluxe and Digital editions of Some Girls, the groundbreaking album which introduced the music of the Rolling Stones to a whole new generation of fans. Justly considered one of the finest works by Mick Jagger, Keith Richards, Charlie Watts, Bill Wyman and Ronnie Wood, Some Girls topped the US charts over three decades ago and remains the best selling album of their storied career. 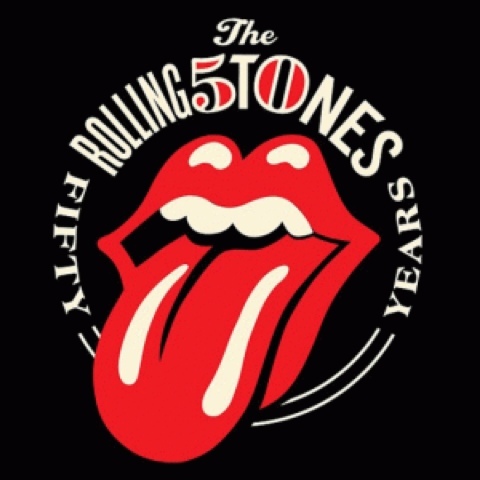 This new package will include some undiscovered gems that include tracks that have recently been unearthed from the Rolling Stones vaults by producer Don Was. Further details of the tracks will be unveiled at a later date. Some Girls is the Rolling Stones’ most direct and diverse collection of material, from Mick Jagger’s irresistible falsetto on the four-on-the-floor filler Miss You, their eighth US number one, to the country-flavoured Far Away Eyes via the Chuck Berry meets punk snarl of Respectable. And let’s not forget the sensuous, Beast Of Burden, one of Keith Richards’ finest tunes, which reached number 8 on the US singles chart, the garage rock of Shattered, the album’s third US Top 40 entry, and the soulful swagger of the group’s version of The Temptations’ Just My Imagination (Running Away With Me), another timeless offering in their canon of classic Stones Motown covers. 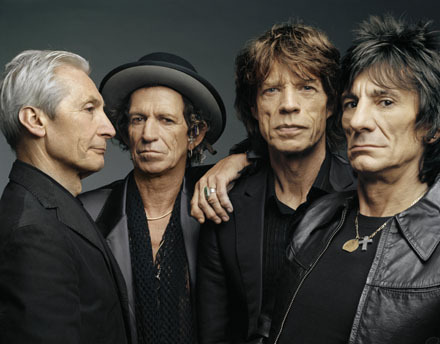 Following the critical praise and commercial success afforded the re-mastered, expanded editions of Exile On Main Street, which matched the chart performance of the epochal 1972 album, and returned the Rolling Stones to their rightful place at the top of the British charts in 2010, the extensive reissue of Some Girls constitutes the next step in the band’s ongoing relationship with Universal Music Group. This started in April 2008 with Shine A Light, the soundtrack from the stunning concert film directed by Martin Scorsese, and has encompassed the reissues of the Rolling Stones re-mastered, post-1971 studio albums, several live albums and classic compilations, and the exhaustive box-set Singles 1971-2006 earlier this year. Some Girls holds a special place in the history of the Rolling Stones and demonstrates why they remain one of the most thrilling and influential bands of all time. The 1978 album features a Keith Richards’ classic Before They Make Me Run, a signature song he stills performs defiantly to this day. Some Girls documented Mick Jagger’s love of 70’s funk reflected in Miss You, the dance track that wrongfooted many people, made the club and black charts, and made it okay for other mainstream acts at the time to ‘go disco’. The 1978 album courted controversy because of Jagger’s tongue-in-cheek lyrics on the title track, on Miss You and on Respectable, perceived as a retort to the punk and new wave groups who had borrowed so much attitude and copped so many anti-establishment moves from the Rolling Stones. Ironically, the furore around the elaborate Some Girls package, designed by Peter Corriston and featuring the band members in drag – a nod in the direction of the picture on their 1966 single Have You Seen Your Mother, Baby, Standing in the Shadow? – and likenesses of Lucille Ball, Farrah Fawcett, Raquel Welch, Judy Garland and Marilyn Monroe that hadn’t been legally cleared, necessitating a swift withdrawal and rethink. Some Girls demonstrated the distinctive and definitive riffing from Keith Richards, with its abundance of unstoppable licks and majestic power chords driving the band into its brand new musical direction. This album not only defined him and his playing, but also defined a new era for the Rolling Stones, which Richards since described as a ‘sense of renewal’. Some Girls marks the only other time since recording Satisfaction where Richards used an effects pedal to ‘elevate’ the sound. The album cemented the position of guitarist Ronnie Wood, who had joined in 1975, and added his trademark slide and pedal steel playing to several of the album’s most memorable tracks, including When The Whip Comes Down and Shattered. He also co-wrote the Shattered B-sideEverything Is Turning To Gold. Some Girls also marked a move to the Pathé Marconi Studios in Paris for the Glimmer Twins production team of Jagger and Richards. These factors helped what is arguably the group’s most focused and dynamic album, driven by the sans pareil rhythm section of drummer Charlie Watts and bassist Bill Wyman. Some Girls featured fewer guest musicians than any Rolling Stones albums since 1971, but the contributions keyboard-player Ian McLagan, Wood’s bandmate in The Faces, saxophone-player Mel Collins, and harmonica-player Sugar Blue – discovered busking on the Paris métro – made Miss You in particular sound brighter than ever. Amongst many eagerly-awaited extras, the Super-Deluxe edition of Some Girls will include a stunning, previously unseen Helmut Newton photo session from 1978, an essay by esteemed author and journalist Anthony DeCurtis putting the album in its cultural context, and a 7” single of Beast Of Burden/When The Whip Comes Down in its banned sleeve. Thirty-three years on from its original release, the re-mastered, expanded, Super-Deluxe, Deluxe and Digital editions of Some Girls show why the 1978 album has often been hailed as the equal of Exile On Main Street. Some Girls is both a time capsule and a timeless listen. It features the band at their tightest and toughest, at their most vibrant and vital. It’s an all-killer, no-filler, must-have album. It still packs a punch. SOME GIRLS – now bigger, brighter and better than ever. Rolling Stones star Keith Richards has followed in the footsteps of fellow rockers Iron Maiden by designing a T-shirt to raise funds for the relief efforts in Japan. The musician is using a special snap taken in Japan during the band’s 1990 world tour for the front of the $29.99 garment, and he’s urging his fans to dig deep and support his fundraiser. A message posted on his website reads, “For decades, Japanese fans have been some of the most passionate supporters of rock and roll. Now they need our help. “The Japan Relief t-shirt is based on a photo taken by Claude Gassian on the Japanese leg of the Steel Wheels tour in 1990 and is available in both classic and fitted styles. All of the profits from the t-shirt sales will go to the Japan Society’s Japan Earthquake Relief Fund, which is helping survivors of this month’s (Mar11) devastating earthquake and tsunami, estimated to have killed 18,000 people. Rapper Snoop Dogg and Linkin Park star Mike Shinoda have also designed special T-shirts to raise funds for the aid appeal. Tommy James: Still Walking In Crimson And Clover! A Quick Update! We were lucky enough to catch up with pop legend Tommy James at the recent Rock & Roll Fantasy Camp held at the Gibson Guitar Studios in New York City. We were very impressed with the 60s and 70s pop legend’s day of “guesting” at the camp. TJ was not an official camp counselor, but he came in to do a Q&A session at lunch time with legendary drummer/producer/camp counselor Sandy Gennaro and also to perform many of his hit songs with the different camp groups. Tommy’s throat was not in the best condition that day so he just played guitar on his biggest classics–including a beautiful version of “Crimson And Clover” with The Dicksteins, the camp band spearheaded by counselor Kip Winger which, with Tommy on rhythm guitar, featured a grand total three guitarists and two drummers. Needless to say, the sound in that particular studio was quite riveting and also “Wall Of Sound”-ish! Before he started his big day off, we spoke to Tommy about his current goings-on at the R&R camp office that normally belonged to counselor Rudy Sarzo. As we have reported here before, Tommy has been working out the deals for both a play (that will eventually come to Broadway after touring) and movie based on his 2010 autobiography, Me, The Mob & The Music. We know he has spent a lot of the recent past in negotiations with the famous Broadway family The Nederlanders. As for the movie, Martin Scorsese originally expressed interest but he is booked up for three years with other film and TV projects, but we know that a movie announcement is due momentarily. Tommy, who presently resides in Cedar Grove, NJ, with longtime wife Lynda, a former NYC booking agent, told us the inside scoop on the play and biopic: “The Nederlanders are going to be the big producers on the play, which is wonderful and the lead producer who is going to be very hands on is Jeff Davis, who is now doing ‘Rock Of Ages.’ I am very, very thrilled with them…what is really wonderful is that the Nederlanders are great at putting mammoth deals together–their company actually wants to put the play on first in San Francisco and Singapore. 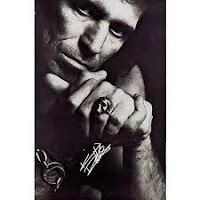 Tommy has also been thrilled with how his book has been doing since its release last year–if you look on amazon.com, you will see that many people that purchase the Keith Richards autobiography, Life, seem to pick up Tommy’s book at the same time. Apparently, this rock legend is rolling still rolling in fields of “crimson and clover”–even though he outed nearly all the mobsters involved with Roulette Records and the music business in general circa the 1960s and 1970s and had to eventually sue for unpaid royalties. He admits that he had to wait for all the dark characters in question to be dead before writing Me, The Mob The Music. The son of a mobster Tommy knew “back in the day” recently met up with him and spoke of the “good old days,” but fortunately, really just wanted to reminisce and get his book signed. We can’t wait to check out both the TJ play and film–and you can bet that you will hear all the formal details about them once they’re announced right here on themacwire.com! Keith Richards has opened up about his volatile relationship with bandmate Mick Jagger – revealing the ROLLINGSTONES almost split because of the frontman’s ego. Richards turns on lifelong pal Jagger in his new memoir Life, set to hit shelves next week (begs01Nov10). The guitarist says during the 1980s Jagger took control over the band and refused to make group decisions because he thought he was “bigger than the Stones”. The drug dealer the Rolling Stones blamed for setting them up in a high-profile raid on Keith Richards’ England home in the 1960s “never showed any remorse” for almost ruining the rockers’ careers, according to the police informant’s former lover.Richards and Mick Jagger faced charges for possession of cannabis and amphetamines after cops stormed the guitarist’s Sussex country estate during a wild party in 1967. For years the pair blamed a man known only as the Acid King for tipping off cops about the drug and alcohol-fuelled bash, because he disappeared and was never seen again after supplying them with the illegal substances. In his new autobiography, Life, Richards revealed the identity of the Acid King as David Sniderman, claiming he was a police informant who worked with authorities to target the Stones, amid fears about the rockers’ growing influence over British youths. Now the U.K.’s Mail on Sunday newspaper reports Sniderman was a failed actor from Toronto, Canada, who was recruited by undercover agents from the U.K. and U.S. to help discredit the band. Sniderman reportedly escaped to Hollywood after the drug raid and changed his name to David Jove, working as a film producer and director. And according to his ex-girlfriend, talent agent Maggie Abbott, Sniderman never regretted turning the Stones over to the authorities. She says, “David was a heavy drug user but had a quick wit. He was the perfect choice to infiltrate the Stones. “He never showed any remorse for what he did. It was all about how he had been ‘the victim’. He was a totally selfish person. “Mick had been my friend as well as a client and I thought about trying to persuade David to come clean publicly. But he was always armed with a handgun and I feared that if I gave him away, he’d shoot me.” Sniderman allegedly agreed to set up the rock legends after he was caught carrying marijuana through U.K. customs. He died in 2004.